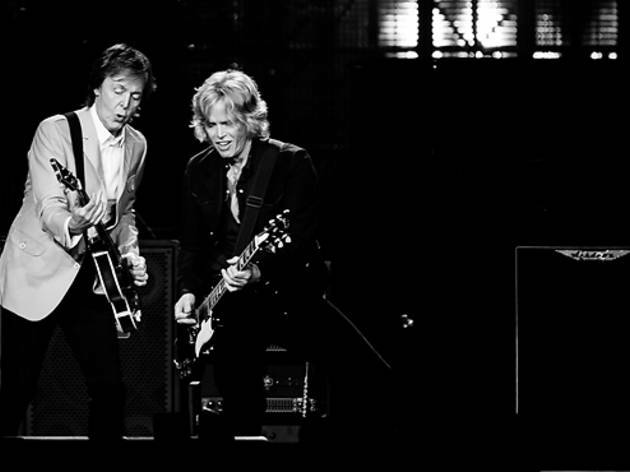 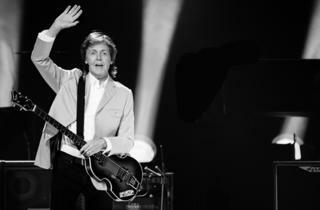 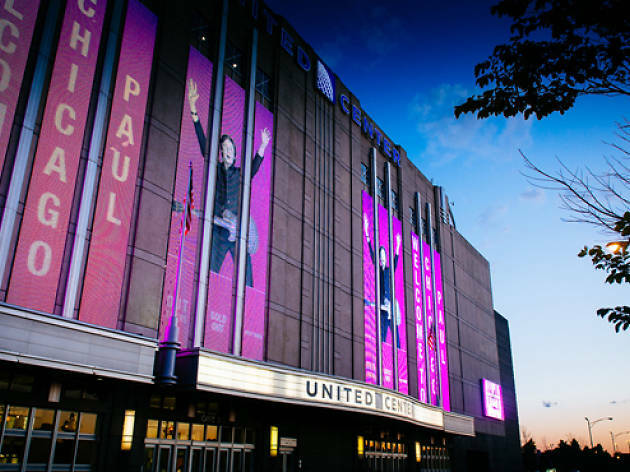 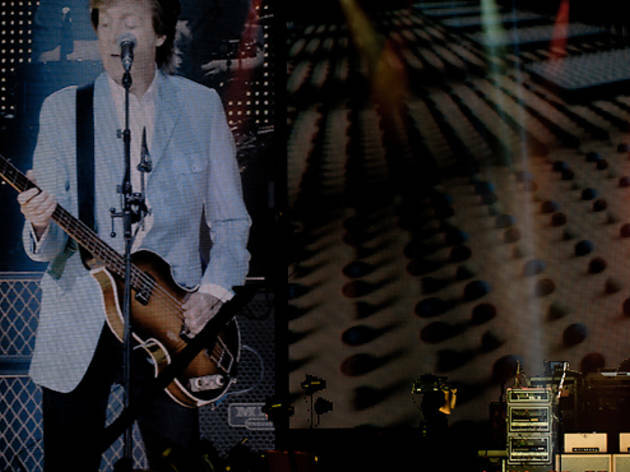 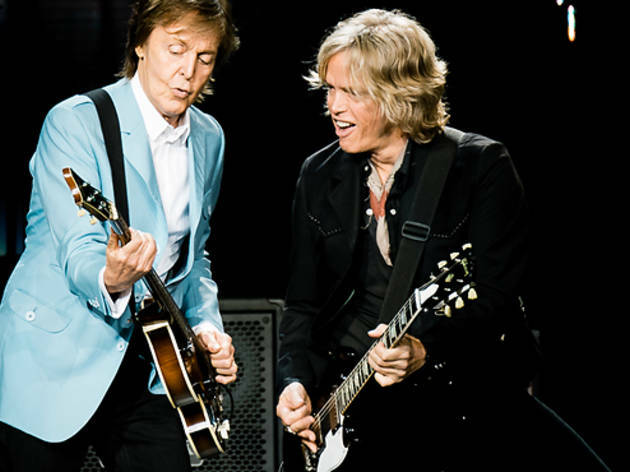 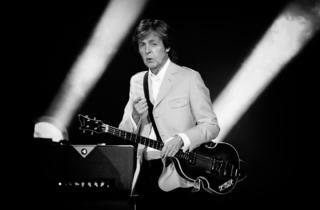 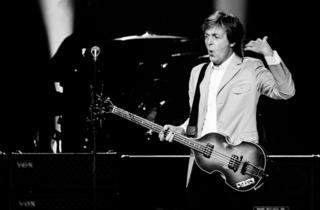 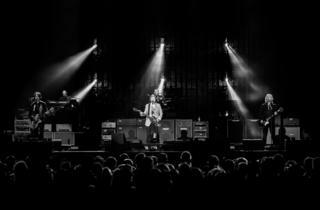 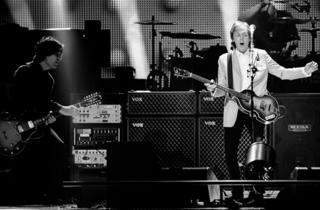 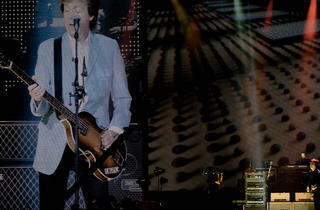 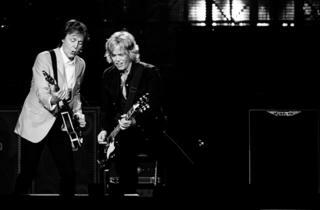 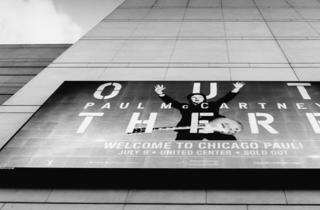 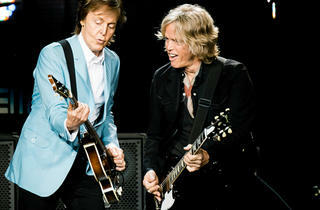 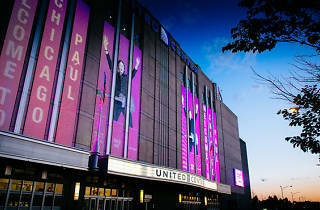 Photographer: cousindaniel.comPaul McCartney brings his Out There tour to the United Center, July 9, 2014. 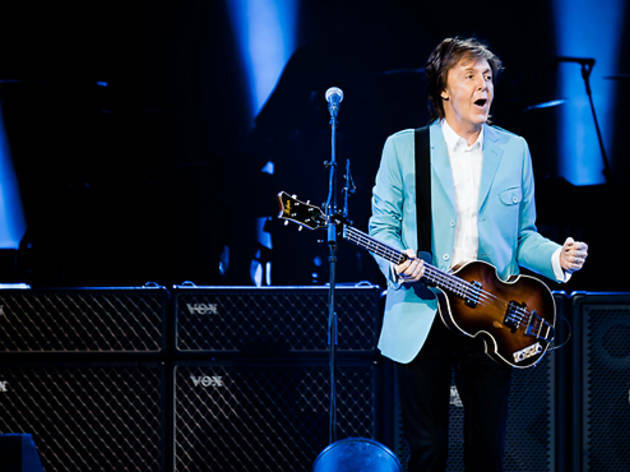 Paul McCartney has always been the consummate performer, armed with a sly smile and a wry theatricality that suggests that he's having just as much fun as the audience at his concerts. 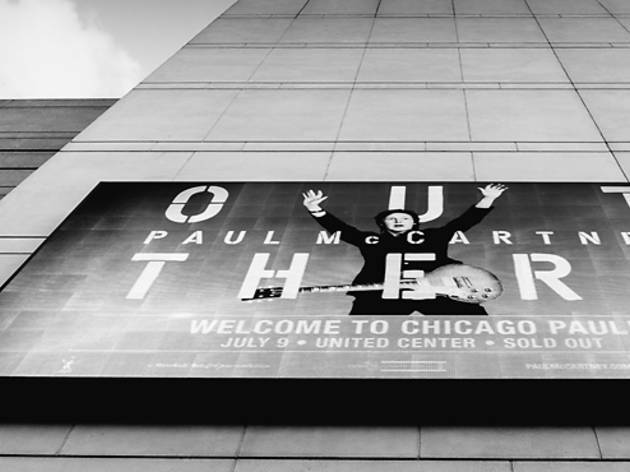 The former Beatle has been in "give the people what they want" mode for the past few decades, and last night during his show at the United Center he did just that. 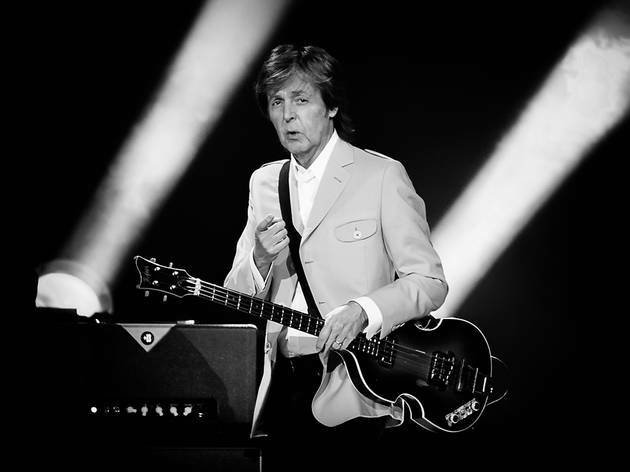 With a four piece band in tow, Macca made his way through a career-spanning, 39-song set that was heavy on Beatles hits, but made time for some essential Wings cuts as well as a few tracks from his recent LP, New. 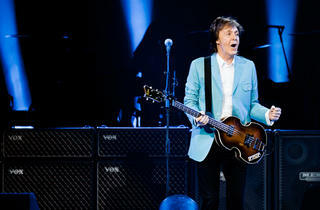 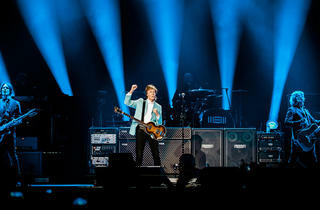 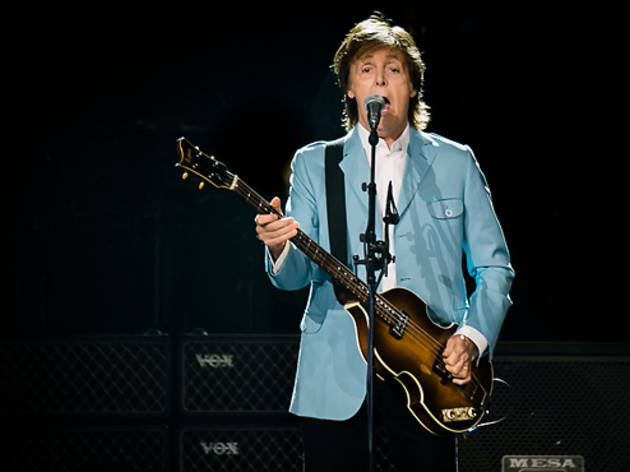 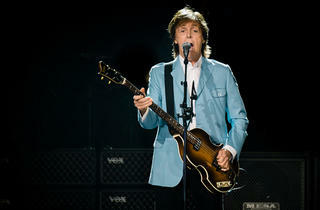 Alternating between his signature Hofner bass, a guitar and a couple of pianos, McCartney was the picture of health, appearing fully recovered from a virus that temporarily sidelined his Out There tour. 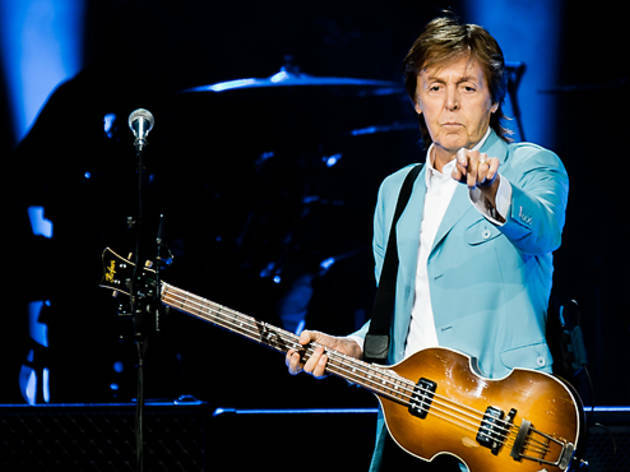 When he wasn't joking with the crowd or telling stories about Hendrix and Clapton, the elder statesman was demonstrating his arena-rock chops. 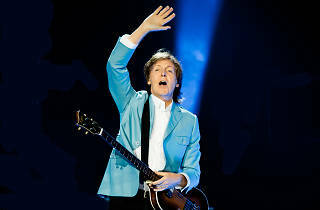 McCartney was raised above the crowd on an elevated platform for his solo acoustic performance of "Blackbird," lasers filled the venue during "Being for the Benefit of Mr. Kite" and flames and fireworks burst from the stage during a rousing rendition of "Live and Let Die." 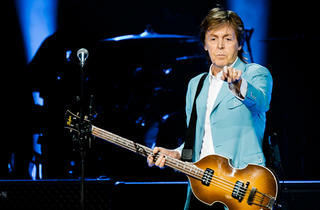 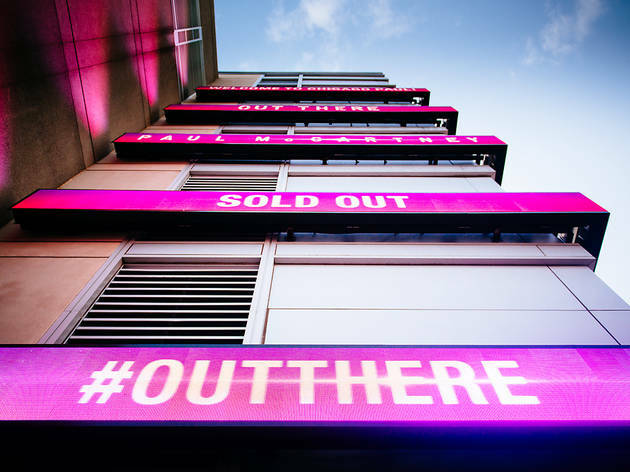 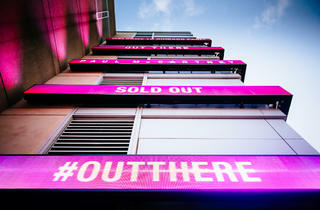 Amid all of the spectacle, there was the overbearing presence of McCartney's past. 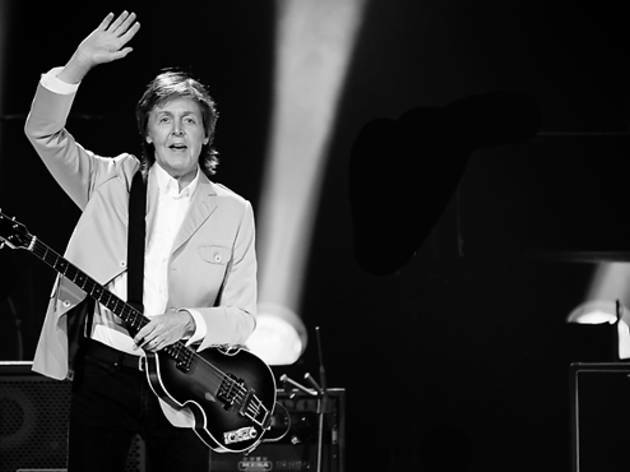 Throughout the set, he offered up heartfelt tributes to John ("Here Today") and George ("Something") as well as a nod to his late wife Linda ("Maybe I'm Amazed"). 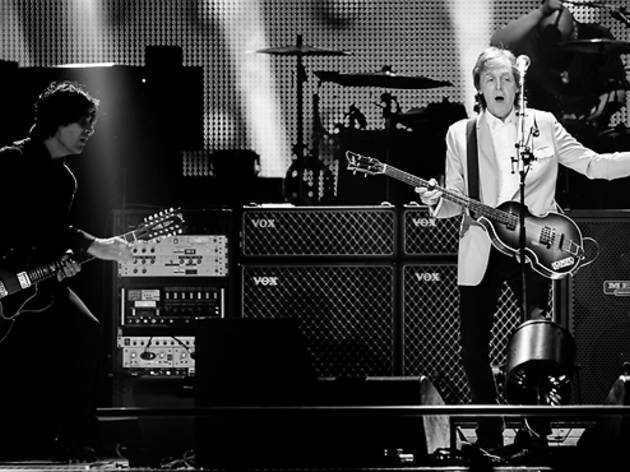 Footage from A Hard Day's Night rolled during "All My Loving", while "Band on the Run" provided the soundtrack for video of Wings' iconic cover shoot. 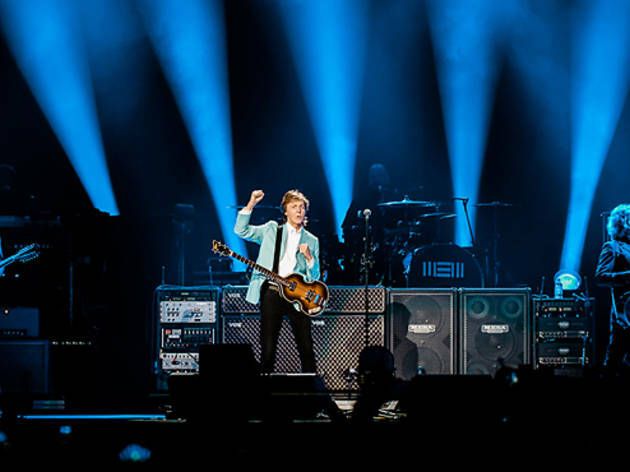 As McCartney and his band reached "The End" during their second encore and confetti began to float down onto the crowd, that sense of history was what resonated the most. 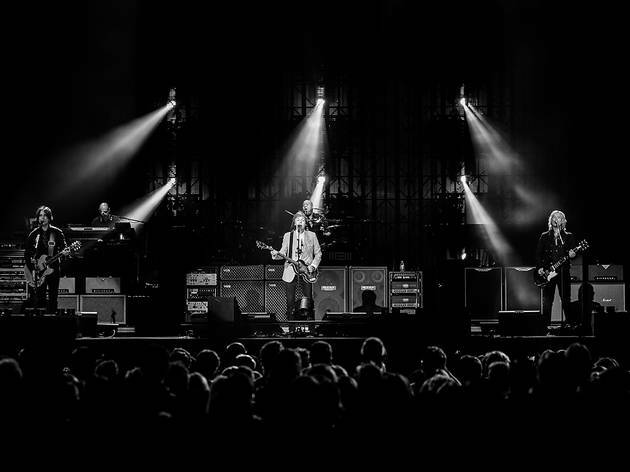 There were two men seated behind me who provided some memorable mantras after each song throughout the show: One repeatedly yelled "Ram on!" (as both a request and in encouragement) and the other recited a simple "Thank you, Paul." 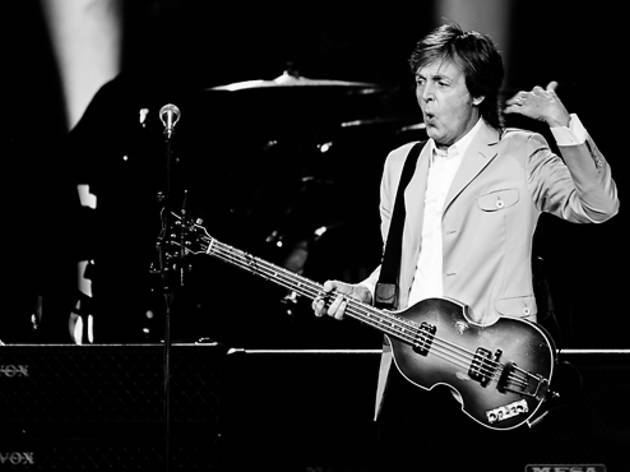 Both were appropriate reactions—even at 72 years old, McCartney still turns in a formidable live show, one that I'm grateful that I had the chance to witness.